Facts and stats are useful, but it’s more powerful to put a human face on experiences of mental illness. That’s certainly the case when it comes to eating disorders. 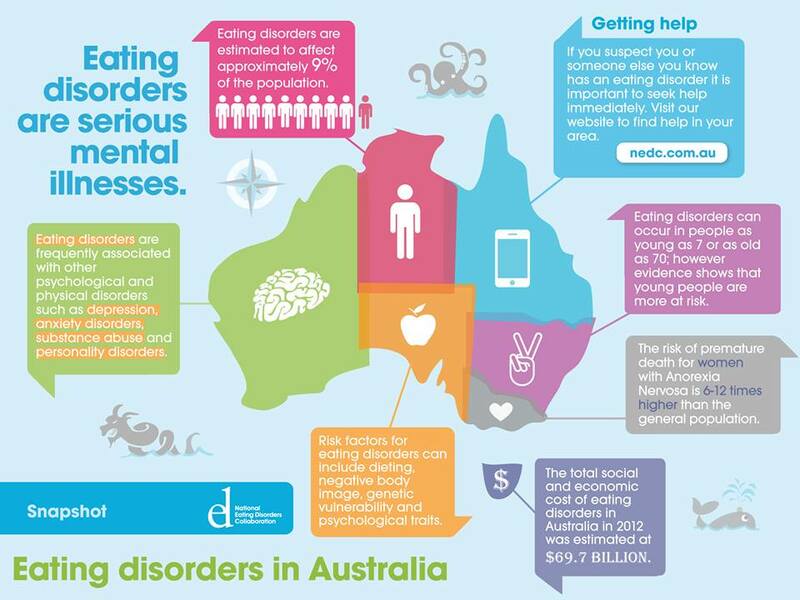 The National Eating Disorders Collaboration estimates that up to 9% of the Australian population suffers from an eating disorder. How has their illness affected their relationships, financial status, physical health and hopes for the future? In my Googling and YouTubing, I’ve found a number of excellent articles, videos and interviews that address these questions. Thin is a documentary by US photojournalist Lauren Greenfield. The film focuses on the girls and women who populate an inpatient eating disorders ward. The BBC documentary Living on Air is a bit dated, but it still conveys the emotional agony of living with anorexia and bulimia. Then there’s a couple of intense, well-written articles on the subject of eating disorders on The Guardian’s website. You can read ‘The truth about size zero’ here, and ‘What health professionals should know about eating disorders’ here. Something that bugs me is that binge-eating disorder and EDNOS (eating disorder not-otherwise-specified) are often left off the radar. People who are overweight, obese, or do not fit into the diagnostic criteria for anorexia or bulimia still suffer from a legitimate mental illness and deserve recognition. As such, I was excited to find an informative video that focuses on one of the ‘lesser-known’ eating disorders. These videos and articles are a good starting point for understanding eating disorders and identifying with the individuals they affect. Want to learn about stigma as it applies to bipolar disorder? 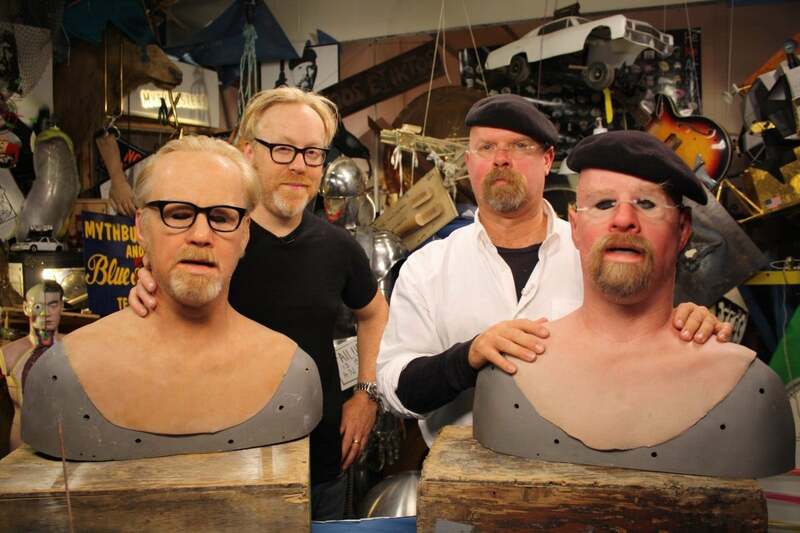 Look no further than this ace video from the research team at Crest BD. While this clip focuses on bipolar, the three-tier model can be applied to any mental illness. With more short and sweet educational videos like this one, stigma doesn’t stand a chance! NB: I got the idea for this post from a great blog I discovered yesterday, Marci, Mental Health, & More. A central tenet of Dialectical Behaviour Therapy (DBT) is the importance of creating a life worth living. One way to do this is to work upwards through Maslow’s Hierarchy of Needs. In 1943, Abraham Maslow penned ‘A Theory of Human Motivation’ – a paper that revolutionised psychological theory. 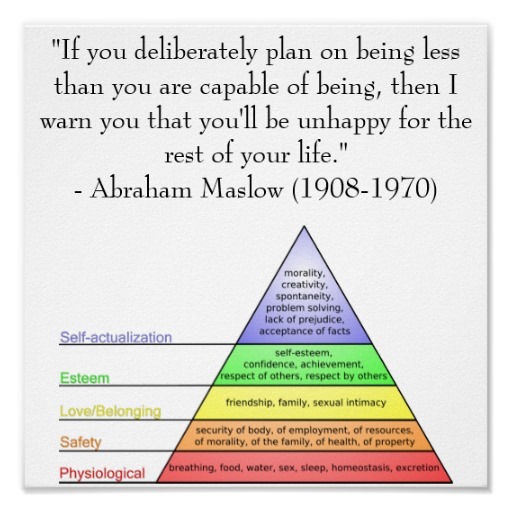 Maslow believed that people are motivated to achieve certain needs. When one need is fulfilled, a person seeks to fulifil the next. “Every person is capable and has the desire to move up the hierarchy toward a level of self-actualisation. Unfortunately, progress is often disrupted by failure to meet lower level needs. Life experiences including divorce and loss of job may cause an individual to fluctuate between levels of the hierarchy. The Hierarchy of Needs has strong ties to mental health. Nothing like a denial of physiological needs, safety, loving relationships and self-esteem to fire up the old depression furnace. For people with mental illness, it’s not so much a deliberate plan to be “less than you are capable of being” than a constant fight to be the best you can be despite immense barriers to self-actualisation. What are your thoughts on Maslow’s pyramid? Mental illness has nothing to do with personal weakness. It’s a product of biopsychosocial factors, including off-kilter brain chemistry. So if ever you’re struggling and someone tells you to “pull your socks up” or “stop being such an attention-seeker”, direct them to the biopsychosocial model. We can’t control how closed or open-minded other people are about matters of mental health, but every bit of education counts. And if all else fails, slip the sceptic a chill pill. 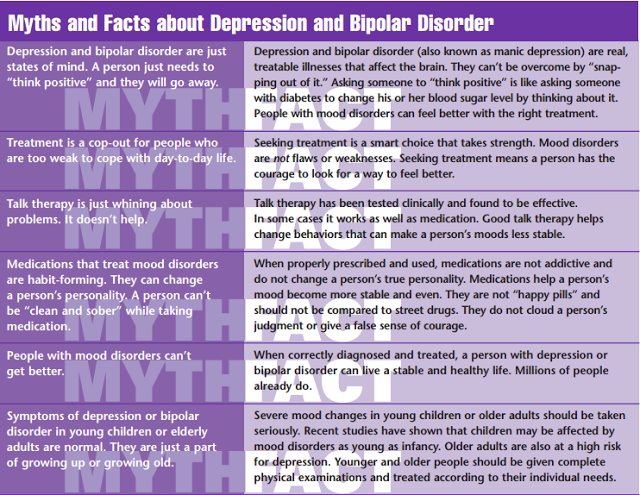 You can read one of my previous myth-busting posts, Fact versus fiction on bipolar and depression, here. If you’ve perused a list of psychiatric diagnoses, you would have noticed that there are very, very many types of mental illness. There are depressive disorders, eating disorders, anxiety disorders, personality disorders – each of which has its own sub-set of labels. For example, dysthymia (chronic low mood) falls under depressive disorders, while obsessive-compulsive disorder is part of the anxiety category. Basically, there are a LOT of disorders. Within this befuddling vortex of definitions and symptoms, it can be helpful to put a face to a given disorder, along with a person’s lived experience of it. Here we have a shortlist of autobiographies that relate to a variety of mental illnesses. Each book is fascinating; worth a read regardless of the status of your brain chemistry. Bonus book: The Bell Jar by Sylvia Plath. Not technically an autobiography, but the story very closely parallels the American poet’s experiences of a nervous breakdown, suicide attempt and hospitalisation in her early ’20s. Do you have any favourite books about mental illness that I haven’t mentioned? Nothing like a good myth-busting session! And, unlike these guys, you don’t need a beret or crazy moustache to partake. Joking aside, falsehood is often the foundation for stigma. The more we spread the truth about mental illness, the sooner acceptance will flourish. You can check out one of my previous posts on stigma here. I was searching for a quote when I stumbled on something amazing. “The Internal Acceptance Movement is an online space that advocates self-acceptance, healthy body image, recovery from self-destructive behaviors and addictions… I. A.M. is a space that offers support to those battling their inner demons and strength to continue fighting when all hope seems to be gone. I. A.M. represents the idea that as human beings, we aren’t defined by anything external, such as our weight, appearance, body shape, gender, sexuality, ethnicity, clothing choices, income, occupation, or background. There’s enough life-affirming, anti-stigma sentiment in Daniell’s brief description to boost the saggiest of spirits! Adding to the inspiration factor, Daniell has been in recovery from anorexia and bulimia for the past five years. She hopes to become a therapist and help people experiencing a variety of mental illnesses and life struggles. “There is nothing wrong with wanting attention. It doesn’t make you selfish. It doesn’t make you desperate or pathetic or weak. It makes you human. We all want to be noticed. We all need to feel seen and heard and valued. And we all deserve to have those needs met. You are no exception. You deserve to take up space. You deserve to be acknowledged and loved and cared for. You deserve to shine. You can follow I. A.M. on Facebook here.